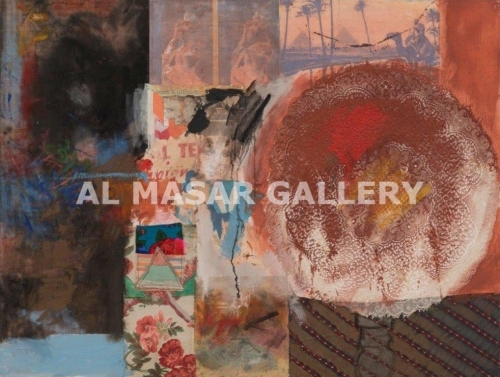 Almasar Gallery is Celebrating its seventh anniversary by hosting ‘for the first time in its career ‘ a foreign Artist , who is the world famous Contemporary Artist, we are proud to present his first Solo Exhibition on the Egyptian Art Scene . 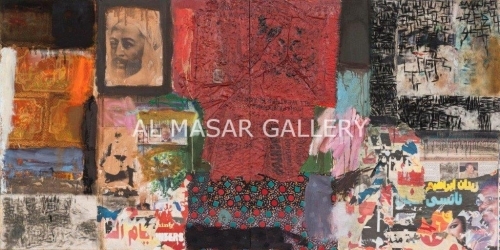 Mohammed Omar Khalil, American artist of Sudanese origin, born in Burri , near Khartoum in 1936, and is a resident and works in New York since 1967. Khalil is also a professor of contemporary art at the University of Parsons in New York. 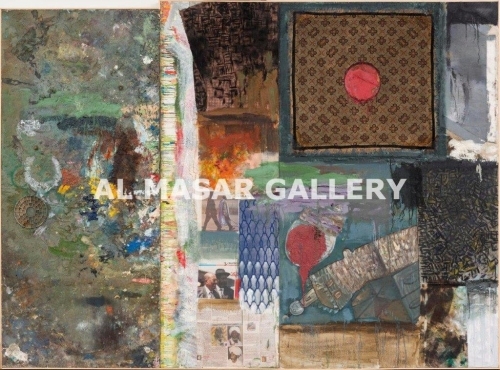 The exhibition features reflection of the Artist’s culture and memories on Egypt and his original homeland Sudan on his Art. 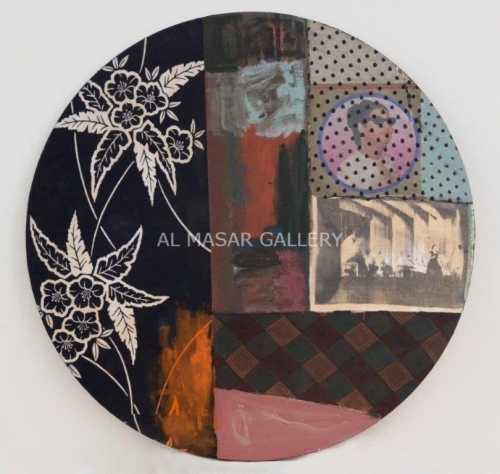 Such event throughout the past decades of political and social changes led him to creating his new collection following the idea and text of Al MASAR Gallery for this show. 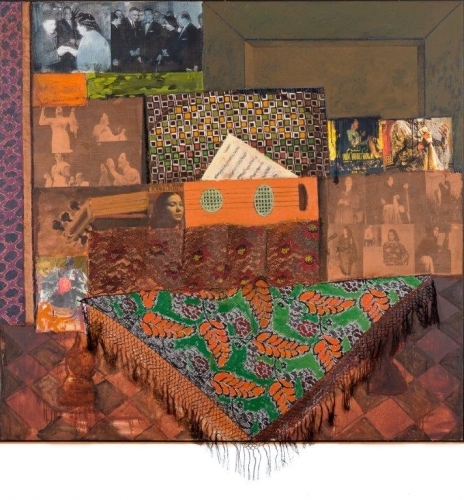 The idea of the exhibition is focused on; Nations united and divided politically but the artistic inspiration remains one, blended with all of the contemporary Artists living by the Nile banks in Egypt or Sudan alike .the Kingdom of Egypt (Egypt and Sudan) and which became divided into two nations through the modern history of Egypt. Sudan itself became one nation then divided to Sudan and south Sudan recently. But the immortal Nile remains giving life and inspiration to all Artists alongside. 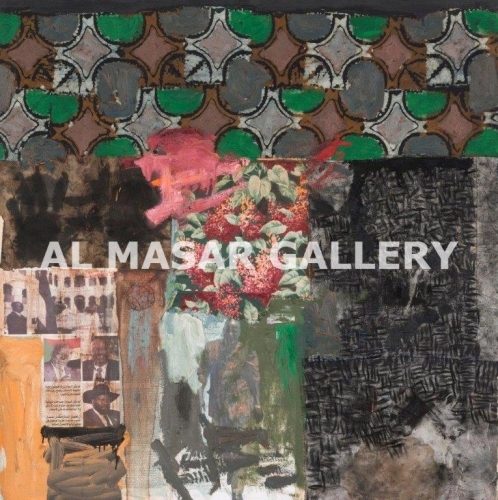 The 2 themes in the Exhibition are: ‘’Oum Kolthoum’’ l which features images of Late Egyptian Diva singing in Sudan and in different occasions , as well late leader Gamal Abdel Nasser in many important social events . Both characters represent Egypt’s modern Art and politics History together in one scene. The second theme is on Sudan itself and titled ‘’ Sallow ‘’, a Sudanese word which means the old tree branch when it fells to the ground leaving the mother older tree. 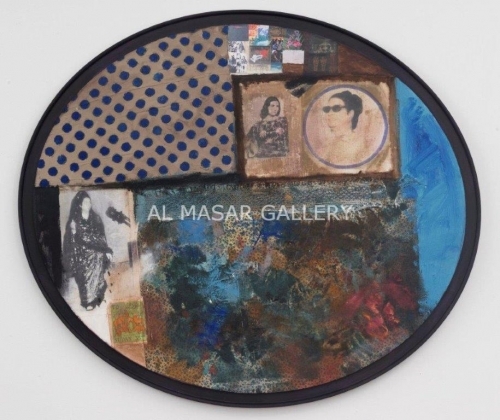 This Exhibition is curated and produced by AL MASAR GALLERY FOR CONTEMPORARY ART. For more information about the full Exhibited collection, kindly contact us. يتناول المعرض من خلال أعمال بخامات مختلفة موضوع أوطان موحدة علي مر العصور ثم تنقسم سياسياً و لكن يبقي الأبداع واحد مصدره النيل الخالد باعث الحضارات الذي يوحد الأيحاء و يسبب الأبداع لفنانين من أوطان مختلفة مما بعثه من حضارات علي ضفاف حوض النيل. فكرة المعرض تتناول المملكة المصرية ( مصر و السودان ) و التي أصبحت وطنان مختلفان بالتاريخ الحديث و عبر عنها الفنان من خلال مجموعة أعمال تحتوي مشاهد لأم كلثوم علي مسارح السودان و الزعيم الراحل جمال عبد الناصر و هذا في مشاهد فنية و سياسية مختلفة . ثم السودان الذي أصبح وطناً مستقلاً ثم أنقسم لشمال و جنوب , و عبر الفنان عن ذلك من خلال مجموعة أعمال فنية تسمي ” سالو ” و هي بالسودانية تعني ما يطلق علي فرع الشجرة العتيقة عندما يذبل و يسقط علي الأرض تاركاً الشجرة الأم.